Red Bull’s epic and outrageous Box Cart Race is back to tear up the South African streets. This most bodacious of all downhill street races takes place on Sandton Drive, Johannesburg on Sunday, 16 September 2018. Returning to Joburg after eight years, following on Soweto in 2010, this year’s Red Bull Box Cart Race is the fifth SA edition and will be bigger and better than ever. It’s a race for hand-made, non-motorised machines fuelled by nothing but sheer courage, the force of gravity and perhaps a little Red Bull. Experienced racers and amateurs are challenged to design and build dazzling box cart dream machines to compete against the clock in a downhill race. 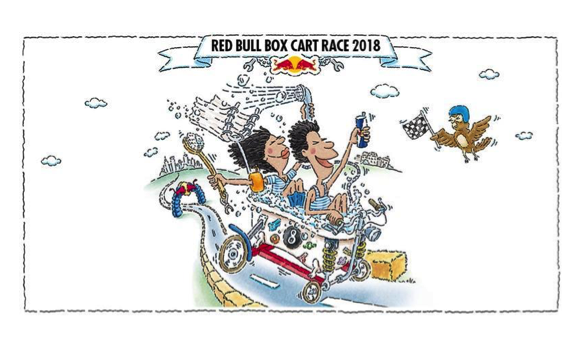 The Red Bull Box Cart Race is an international event taking place across five locations in 2018, including Rome Italy, Sofia Bulgaria, Cincinnati Ohio and Lisbon Portugal. Sandton is the steepest, most exciting track of the year. The same rules apply everywhere. Teams are judged on speed, creativity and showmanship. No engines, batteries, electricity or catapults are allowed. What is allowed is unbridled imagination, charisma and of course, your bold and daring showmanship. It’s not enough that it actually moves or crosses the finish line first. The judges are looking for the outrageous, the preposterous, the ostentatious! Anything but the ordinary. The race is exclusively for human-powered box carts with a maximum width of 2 meters, a height of 2.5m and a length of 6m, with a total weight of 80kg (excluding the driver). The race is for over-16s and all drivers must be older than 18. What can the teams expect from this year’s race? South Africa’s multiple motorsport champion, Dakar legend Giniel de Villiers has designed the downhill course for the 2018 Red Bull Box Cart Race. As someone used to negotiating challenging cross-country routes in a potent V8 Toyota Hilux rally car, designing the Red Bull Box Cart Race track is something completely different … It must’ve been a bit of a challenge? GdeV: Ja, sure! Creating a downhill track for gravity-powered box carts is a little different to negotiating those big dunes in the Dakar, but it’s still a race and that means any racetrack needs certain characteristics. For starters, you don’t want to make it too easy. It will be a challenging track with some interesting obstacles that will not only test the driver’s skill but how well the box cart is built. GdeV: The actual obstacles are still a closely guarded secret but the teams and spectators can expect some surprises that’s for sure and maybe even a touch of the Dakar. Think and some tight corners. but safety is also a key part of any racetrack design and there’s plenty of hay bales around to safely stop any contestants who lose their way. You have to wear a helmet too, obviously. Let’s stalk strategy then – if you were taking part, how would you approach a run down the hill? GdeV: Well, first I’ll need to brush up on my dancing skills. They’re going to have to have way better dance skills than mine. The teams are not only judged on how quick their runs are but also on creativity and showmanship – you need an entertaining stage routine as well. When it comes to driving strategy, the first thing I’d do is take a walk down the course before the event starts. It will give a close-up view of what to expect – where the bumps are, where the corners tighten up, where you need to be cautious and the parts where you can pick up speed. Pick up speed? How do you do that without an engine? GdeV: You mean besides having a Red Bull before you start? ☺ But seriously, it’s all about maintaining momentum and they won’t have much trouble with this as it’s the steepest track of the year and definitely the steepest SA has seen. This is what you learn as a youngster racing go-karts or other race cars with small engines. In those cars, you cannot barrel into a corner, slam on the brakes and then put foot as you exit. There’s simply not enough power for that and it will slow you down. The trick is to maintain as much momentum through each corner with minimal braking. Now that doesn’t mean you must come in too hot… then you’ll end up having to brake too much or understeer into the hay bales. Get all your braking done before the corners and keep it nice and smooth. And if you were building a Red Bull Box Cart to compete in the event, what would it look like? GdeV: Well, it wouldn’t look much like my Dakar Hilux, that’s for sure! 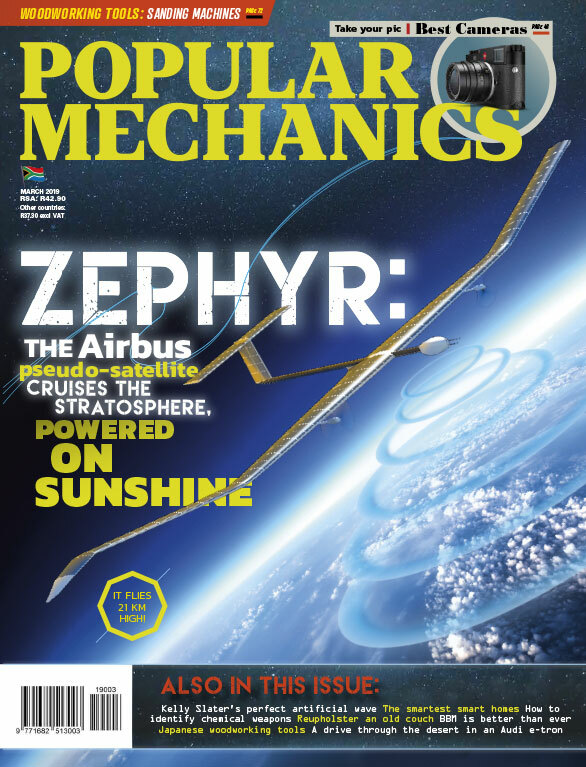 Firstly you want to keep the centre of gravity as low as possible. That’s going to help the handling through the corners. And I wouldn’t worry about suspension either. You don’t want anybody to roll and the jumps you have to negotiate aren’t high. Then, however creative your design is, make sure it has a solid and sensible chassis – something with a robust frame, four wheels and a means of steering it. You don’t want it snap in half at the first obstacle. Decent wheels are key – again, strong with good wheel bearings and enough grip to actually get the thing to turn. Right… “have a Red Bull, maintain momentum, make the box cart strong enough” … got it. Any further bits of advice to end off? GdeV: Look, the whole event is really about having a lot of fun. Sure, there is a winner, but it’s so cool to see the wonderfully creative designs the teams come up, their show routines, and the thrills and spills. If you’re a competitor, just live in the moment and enjoy it. And if you’re coming along to watch, you’re in for one very entertaining afternoon! The Red Bull Box Cart Race is a free event for all participants and spectators, so bring the kids and neighbours. Use the hashtag #RedBullBoxCartRace to join the conversation on all social platforms.